Finished Morocco (well, just the main level). This was the score / achievements of my 2nd playthrough of the level. Also, I did an add-on / extra thingy for this level which FINALLY earned me a silenced sniper rifle. That I think leaves me with 3 more main levels. Bangkok, Colorado and Japan I think. Have to try and complete Sapienza today. I went a bit wild on my last attempt and had a massive killing spree in the lab that ended in me dying. Also done. I was curious to see how it ends so I just blundered through the last 2 missions. I did redo Colorado properly up to level 15 mastery but I’ll replay Japan some more next weekend and maybe the Patient Zero and Elusive Target DLCs. Now it is just a matter of waiting for Hitman 2 to go on special again. 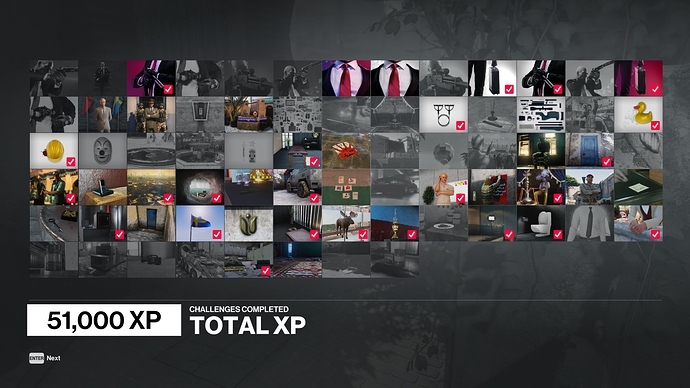 Finished Sapienza, Morocco and Bangkok. Busy with Colorado now, maybe I can still finish. Last day to try and finish it people! I didn’t make it. Getting all four guys in Colorado was difficult.